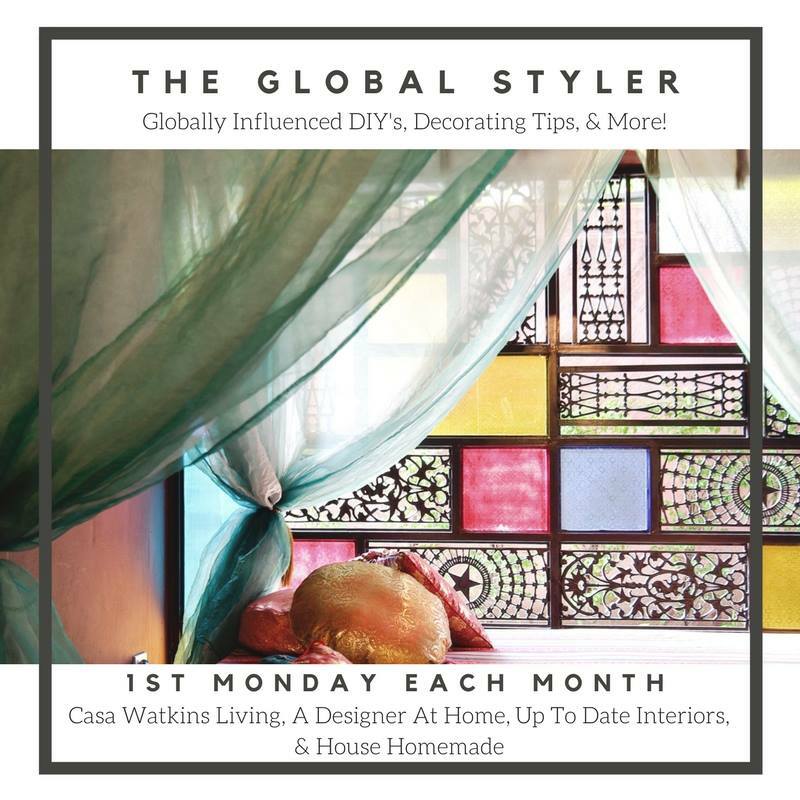 Happy Monday and welcome to my second installment of The Global Styler where I get together with my friends from A Designer at Home, Up to Date Interiors and Casa Watkins Living to bring you globally influenced DIY's and decor tips. This month were talking this trending topic of Hygge. First of all, it's pronounced Hoo-ga-- which I did not know and still might call it hi-gee for all times. It's a Danish word that focuses on coziness, togetherness and creating an environment that makes you feel comfortable and at home. I may not have known this word before a couple months ago but I am all about making our house embody this for my family and our friends. Really I saw a lot about this topic in the winter months and talking about candles, cozy blankets, hot tea and slippers. Things that provide warmth and happiness in the colder months of the year. So spring into summer is a little trickier. Today I'm going to share some "cooler" details that I feel like help create hygge in your home. Is that right? Create hygge? Give the feeling of hygge? Hygge-ish? You get what I'm saying. We have winter throw blankets that are thick and heavy and then lighter weight blankets that I bring out when the weather starts to warm up. They stay out in the heat of the summer too. 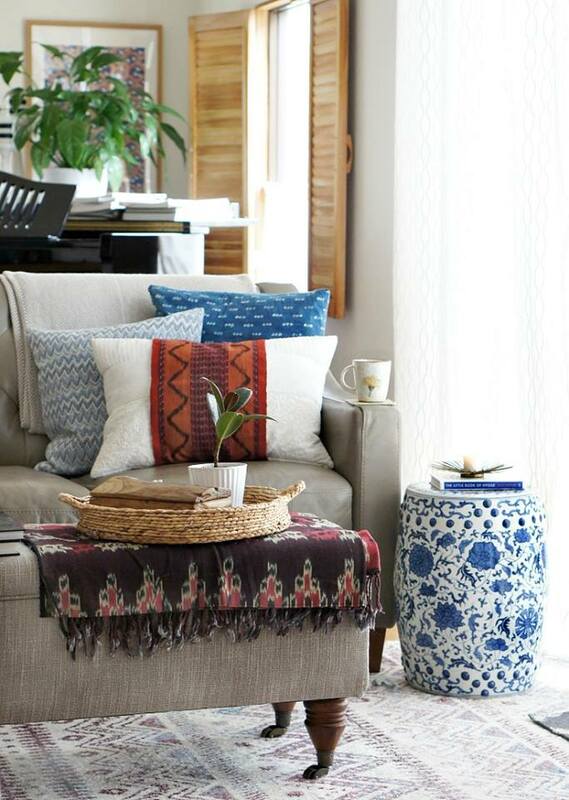 They are cozy and comfy but also provide a pop of color into a boring, usually neutral space. I do the same with some of our pillows. Light and bright cottons for spring and summer, darker and richer fabrics for the fall and winter. 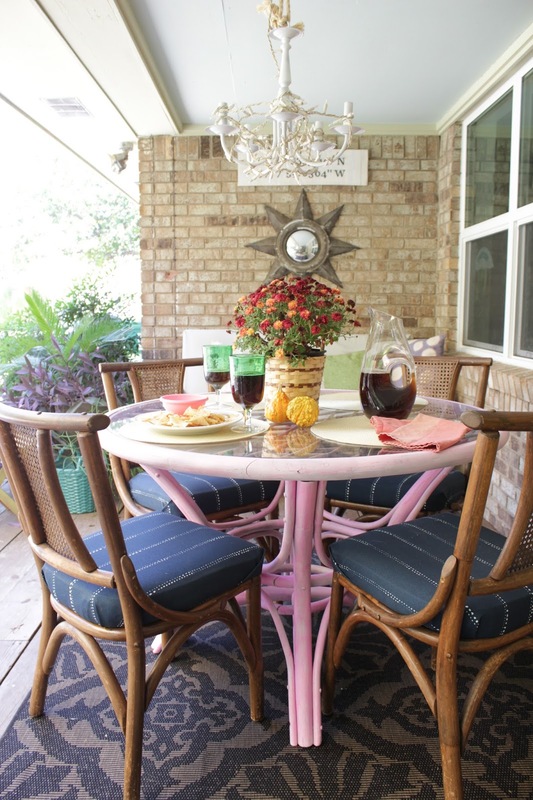 It's such a quick and easy way to update and freshen things up for the upcoming season. My sweet angels throw the pillows on the floor which does not conjure hygge for me but when I get to rest my head on one at the end of the day or cuddle onto the sofa and watch a movie with said angels, that does. I thrifted velvet curtain panels and made these pillow covers with the help of a sweet friend. These pillows were out all fall and winter. The picture below is the pillow I brought out for spring. You can see my DIY for these shibori pillow covers here. I cannot take a single picture of my house where you won't see a rug. First of all because we have hard concrete floors (click the link to read about how we stained them) but secondly because they create such a comfortable, warm feel to a space. Below are similar styles to the rugs we have in our home in case you're wondering. Seeing them all in one place makes me so happy! Hygee? Rugs are the best. I figure since warm drinks were a lot of what I saw when I initially looked up hygge. And I do understand the importance of a cute coffee mug. I figured the spring and summer version of this would be some cute glasses and a big ole pitcher of iced tea. I am in no way an amazing hostess but having cute glasses is always a way to make a glass of water, tea or crystal light cuter. I found some super cute ones here and here. Or here are some cute acrylic ones. Just so you know I'm not lying about the hostess thing. Last week we had a playdate for my little ones birthday and I threw goldfish in plastic bowls and served my friends water in paper cups from last years party. FANCY. HYGGE. I'm 97.3% sure they still like me! 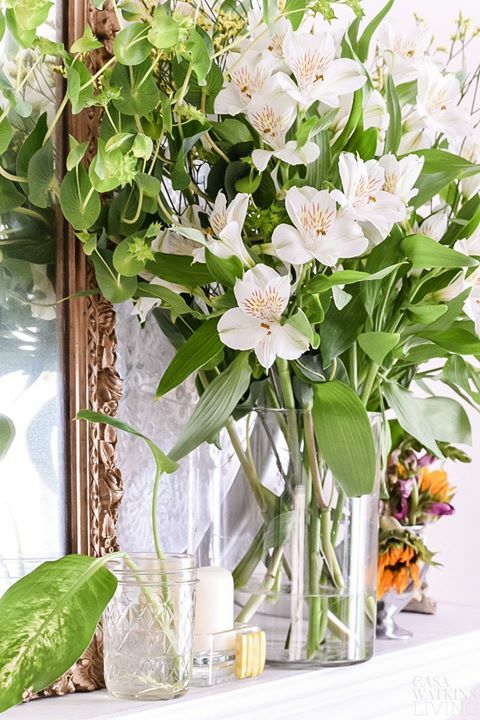 Anyway, whether you know how to use the term hygge correctly or not, I'm sure you'd love ways to make your home more inviting, comfortable and cozy for the ones you love. Hope some of these ideas help. If not, some store bought cookies would work just fine too. Love your creative uses for rugs, pillows, and throws, and the tea set is perfect for summertime hygge! Great tips!